Test environment for effect projects. This project is a test environment for testing effect device circuits. 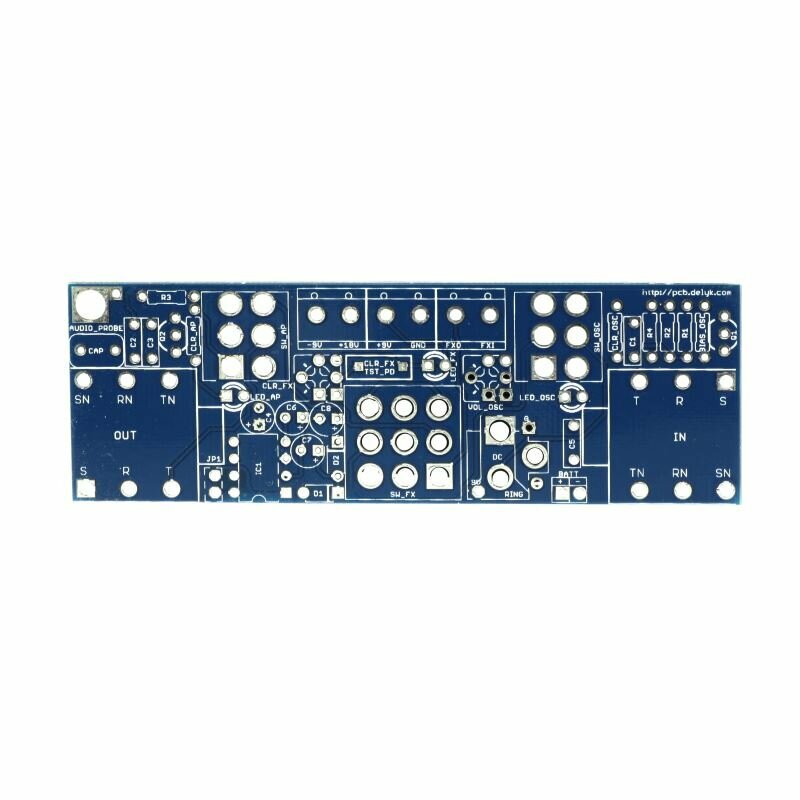 It provides input/output and 9 or 18 supply voltage connections. A tone generator provides a test audio signal, with the audio probe the circuit can be tested. br>. The power supply section provides +9V, -9V and 18V. The LED "resistance calculator" can be used to determine the optimum resistance value for an LED.